Opera has just announced a new app store for your HTDV, The Opera TV Store, which is a new service that TV manufacturers can add to their HDTV’s, set top boxes and other TV connected devices. 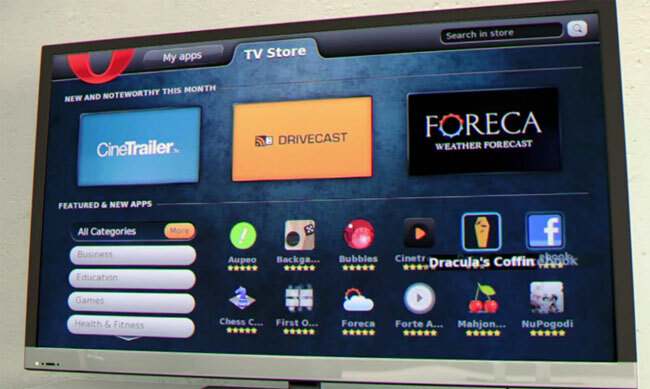 The Opera TV Store is designed to make it easy to run HTML5 based applications on your HDTV, and there will be a wide range of applications for consumers to use on their HDTV like Facebook, Vimeo and many more. It isn’t clear as yet when the Opera TV Store will be available in the home, we suspect it will be a few months before manufacturers start integrating it into their new HDTVs and set top boxes. Have a look at our handy guide which explains the difference between LCD and LED TVs and also our handy OLED TV Explained guide for more information on the latest HDTV’s.